I had high hopes for When I Was Yours as I read another book by this author and really enjoyed it. Unfortunately this one didn't work for me. It was predictable right from the beginning, I didn't understand the characters or why they did/didn't do things, and it just wasn't very good. Evie and Adam were in love at a young age. Adam didn't have a very good home life, his parents were a nightmare, not really caring about him at all. They wanted him to take over the movie business from his dad, but he doesn't want that. When he meets and falls for Evie he finally has something in his life worth sticking up for. Worth angering his parents and going off and doing his own thing. And Evie? Well her sister is really sick and dying when she meets Adam, her life is a bit complicated working to try and make money to take care of her sister and father. She doesn't have a lot of time, but when she meets Adam there is just something there between them. 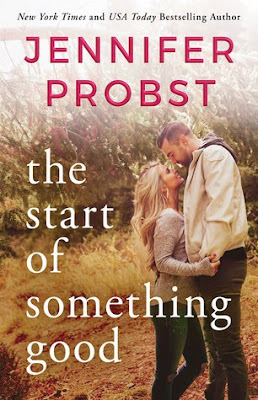 They fall in love quickly and when they graduate high school Adam asks her to marry him, so they do. It is wonderful until Evie leaves him without a word as to why just a few days later. He is crushed, he tried to find her and her family for years, but was never able to. The book opens when Adam is indeed running the family business, he still has a horrible relationship with is mother, and he is not very happy. He used to sleep with any girl who looked like Evie and pretend it was her, but he has been trying to stop. Until he sees the real deal again. Until he sees Evie. Now Evie hasn't had it easy these past years either. She never got over Adam and hasn't really been living since she left him. Now the story is told in current time with some flashbacks to what happened, and so this meeting comes pretty early on in the story. This is also where the story started to fall apart for me as I simply didn't understand Evie. She won't tell Adam what happened, why she left, and I didn't understand why. You have to wait until the very end before you get to know that what you probably guessed right away was actually what happened. And then I really didn't understand why Evie never came back to Adam, never told him what happened. It is not like she would be ruining something for him or breaking someones trust that she cares about or something. She had some super lame reason that I obviously thought was not good enough. Not good. Besides the story being predictable and not so good the writing was also not as good as I had expected. It was too descriptive and the beginnings of chapters read like an outline. It was very unexpected since I really enjoy the other story I read by this author. So yeah. Not the book for me. It could have been okay had Evie told Adam right away why she left and then they tried to work things out. Then seeing Adam work through everything and try to trust her again and all that would have worked. Instead the end was way too easy, Adam is upset then suddenly not and everything is fine and dandy. No. Just no.